Belleville, Ontario’s bus-hailing project has seen an explosive surge in demand, with riders complaining there’s no space available. The southern Ontario city started the project in September with its route 11 night time bus. Instead of operating on predefined routes, users could book a ride via an app or through a website, BTLetsGo.ca. “We’ve almost, again, maxed out our demand,” Buck told Quinte News. While the experiment certainly seems popular with riders, it’s not yet clear if it’s achieved its other goals. Namely, Belleville wanted to see if using an Uber-like system with high-capacity buses was more efficient than predefined routes or low-capacity services like Uber and Lyft. 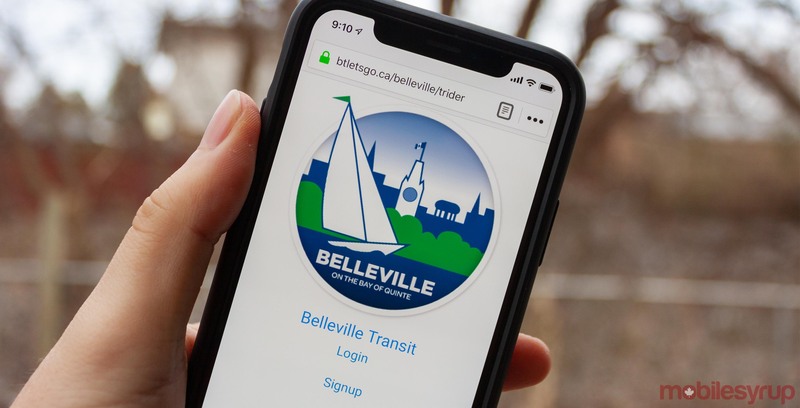 That data has yet to be released, but if the popularity is anything to go by, Belleville could reform more of its routes to use the service. This was part of the city’s initial plan in September. Overall, it’s good to see that the bus-hailing system is so popular in Belleville. If successful, this method of bus operation could become prevalent in small cities and towns. Predefine routes typically aren’t efficient except in big cities like Toronto.